Many people spend their entire careers counting the years to retirement, eager to get a break from the endless hassle of demanding bosses, conniving co-workers, and chronic financial worries. Somehow, when you finally hit the finish line, everything seems to change. It’s common to struggle with depression, anxiety, and self-esteem issues as retirement approaches. The good news is that these problems often go away on their own as you settle into this new phase of life. Here are some of the most common challenges newly retired Aussies face. Most people respond to queries about that they do with a response about their jobs or careers. We are raised to see our identities as inexplicably linked to work, so it’s no wonder that many new retirees experience a loss of identity when they first quit working. You might feel like you don’t have much to contribute now that you’re retired, or worry that you’re irrelevant—either to your chosen field or your family. One of the easiest ways to combat this sense is to embrace a new hobby or learn a new skill. Particularly if you felt forced out of your previous job, you may experience self-esteem issues. This can affect your relationships with loved ones, your ability to care for yourself, and even your ability to find new ways to spend your time. Sometimes these issues wane with time, but if they get steadily worse, counselling can help. Anxiety is filled with uncertainty. Now that you’re not spending most of your day at work, yo have more time to think about the things that concern you, and you may also have some new worries. Finances, health, your children and grandchildren, how you and your spouse will get along now that you’re spending more time together, and similar topics can all figure prominently in retirement-related anxiety. Your physical and mental health are not easily separated. Each affects the other. 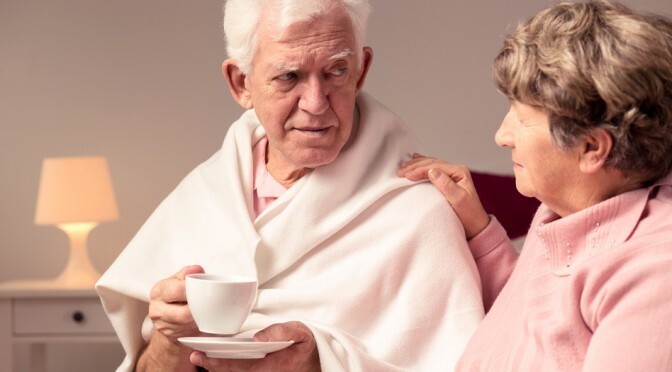 Retirees sometimes find that the additional time they have around the house is additional time to worry about medical symptoms they previously never noticed. Moreover, some find that their body responds to the shock of retirement with unpleasant symptoms such as headaches and muscle pain. It’s important to get a regular check-up with your doctor, but know that everyone experiences periodic aches and pains. Some other changes are common as you age, and nothing to worry about. Don’t allow yourself to fixate on minor health symptoms, or you may soon find that those symptoms overtake your life. Depression is common among seniors. Boredom, lack of purpose, fear about the future, anxiety about retirement, changing health, and even age-related cognitive changes can lead to depression. Worse still, depression can look a lot like dementia in older adults since depression inhibits your ability to think clearly. Left untreated, depression may even lead to cognitive decline. Many seniors remain resistant to treating mental health symptoms, but doing so is vital to your long-term health. If you experience persistent feelings of guilt, worthlessness, hopelessness, or sadness, seek professional counselling.